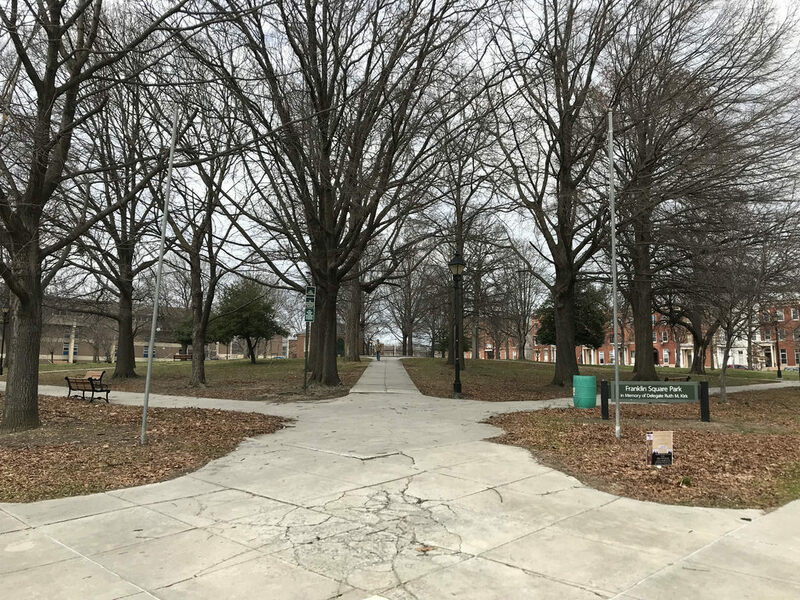 Franklin Square Park is one of the oldest parks in the city, with its origins in the estate of Dr. James McHenry, who lived at a home known as Fayetteville located near Baltimore and Fremont Streets in the early 1800s. Born in Ireland, James McHenry arrived in Philadelphia in 1771, settling in Baltimore with his family the next year. During the Revolutionary War, McHenry joined the Continental Army, becoming a secretary and friend to General George Washington. After the war, McHenry served as the Secretary of War to George Washington and John Adams, before retiring to Baltimore in 1800 and continuing to live quietly at his home until his death in 1816. James and Samuel Canby, successful development speculators from Wilmington, Delaware, purchased 32 acres of land from the heirs of Dr. James McHenry in 1835 with the goal of developing the estate. 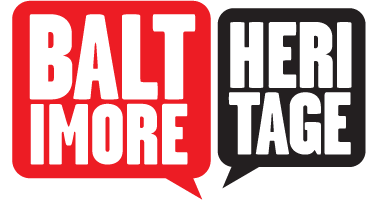 Two years later, they offered two-and-a-half acres of land to Baltimore for the nominal sum of $1 with city's promise that they would maintain the land as a public park forever. The City Council accepted but made a condition of their own by offering to erect a "handsome iron railing, six feet high" and a paved sidewalk around the park when the James and Samuel could build eight or more "three-story brick houses, to cost at least $10,000 apiece." 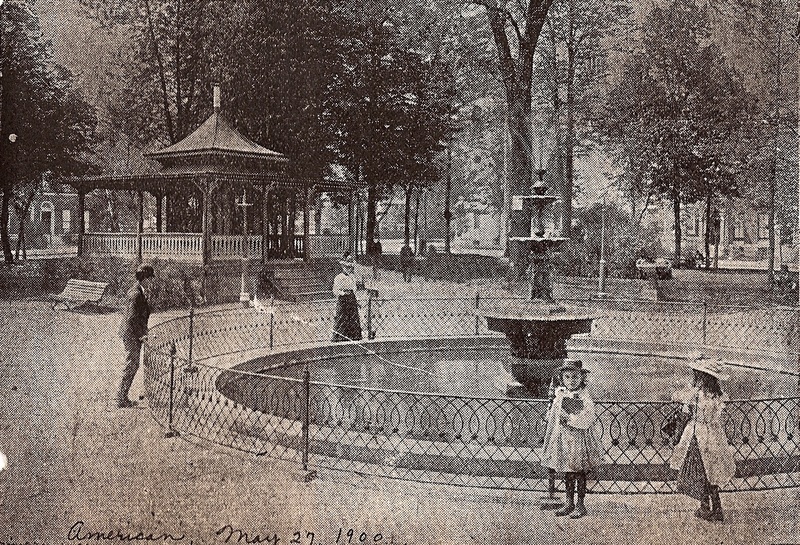 The park was an enormous success, as on a single Sunday in the spring of 1850 when over 3,300 locals came for a visit. The Sun reported, "At almost every hour of the day, numbers may be seen promenading through the walks." The grand Waverly Terrace on the east side of the square was completed in 1851 at a cost of $160,000 offering, according the Baltimore Sun, a rowhouse block "much handsomer than any yet finished in this city, and displaying the pure Italian style of architecture." The Aged Women's and Aged Men's Homes, built in 1849 and 1864, located at the site of the present day Franklin Square Elementary/Middle School and a handful of churches began to fill the blocks around the park. 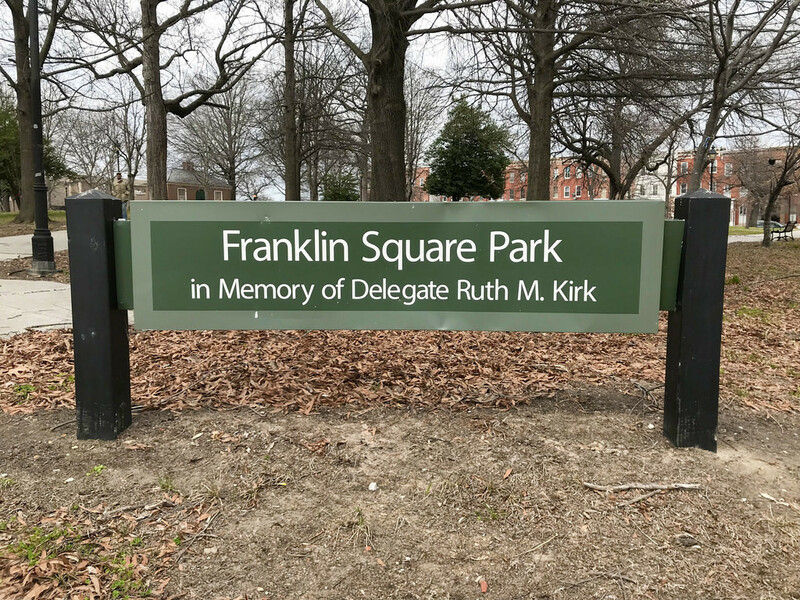 “Franklin Square,” Explore Baltimore Heritage, accessed April 19, 2019, https://explore.baltimoreheritage.org/items/show/10.